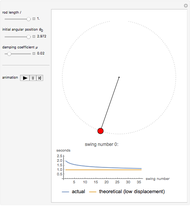 This Demonstration explores the effect that the rod length, damping coefficient, and initial position have on the period of a damped pendulum. 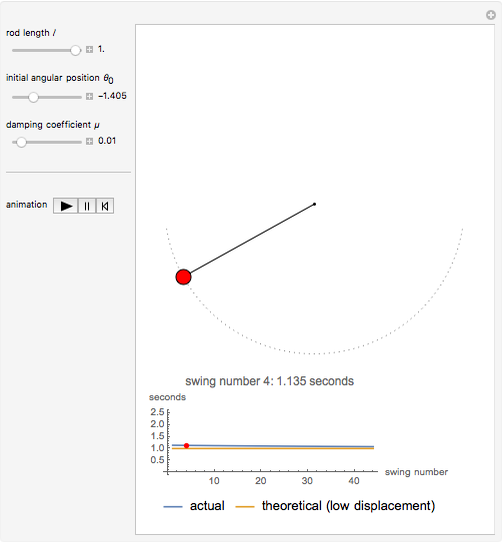 Mathematica's built-in function WhenEvent, triggered whenever the bob crosses the vertical, detects the time of successive swings of the pendulum. 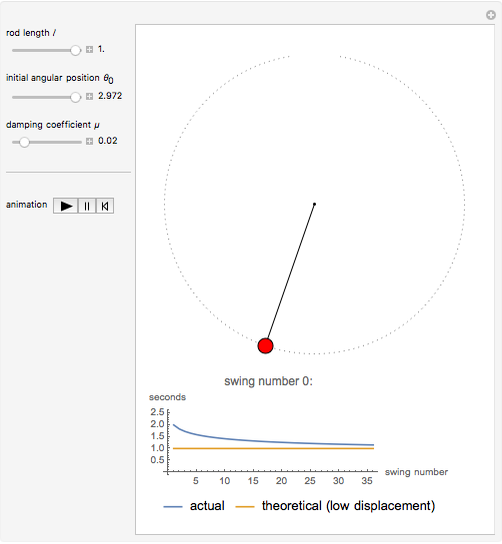 The actual swing period can be compared to the theoretical one that is valid for small initial angles only, , where is time and is the acceleration due to gravity. 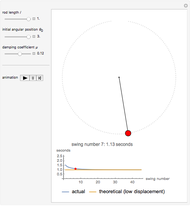 The well-known equation of motion of the damped pendulum is used: , where is the angle from the vertical, is time, is the acceleration due to gravity, is the length of the pendulum, and is the damping factor. 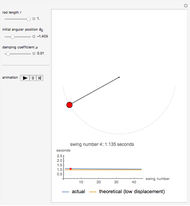 During the solution of the differential equation, WhenEvent is triggered by the event and the resulting action collects the time at each crossing. 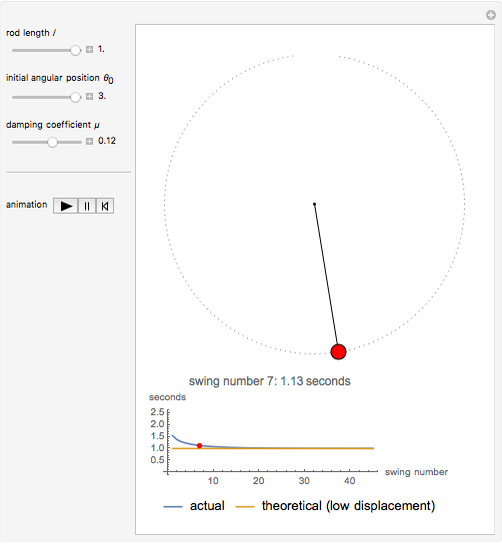 Erik Mahieu "Varying Period of a Damped Pendulum"